Acadia Reality Trust (NYSE:AKR) is a fast-growing REIT, whose core portfolio has doubled over the past four years and is concentrated in six MSAs, in the shopping center sub-sector. The company owns 89 properties within that portfolio and 56 within its four funds. But the most interesting thing about Acadia has been its transition away from suburban shopping centers. 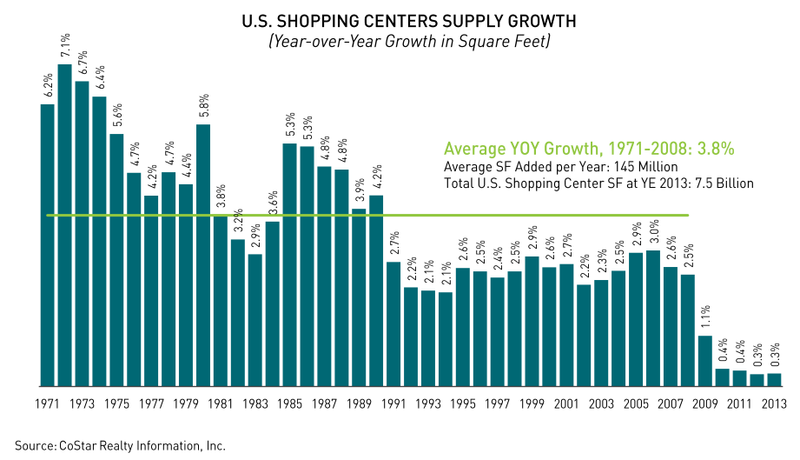 The Great Recession, combined with demographic trends, has been a turning point in retail developments. 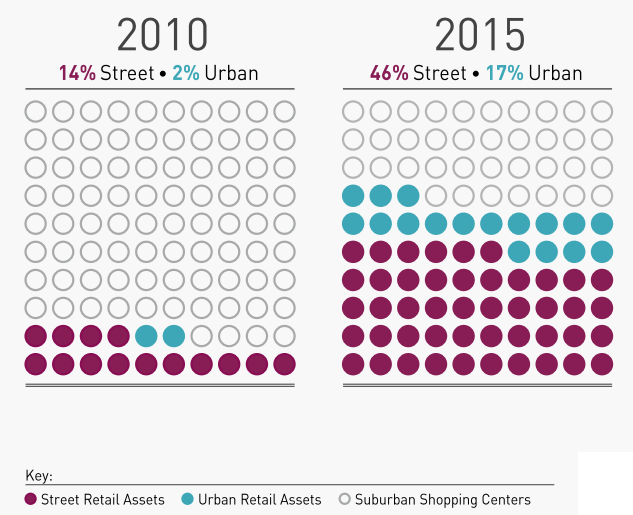 While the number of shopping centers has reached saturation and the supply of new square footage has plummeted in relation to historical figures, Acadia has shifted its focus on high-quality urban and/or street retail, which currently makes up 63% of its current portfolio. Locations in which Acadia is present have an average household income of $110,000. Management said they wished to be wherever the retailers did. 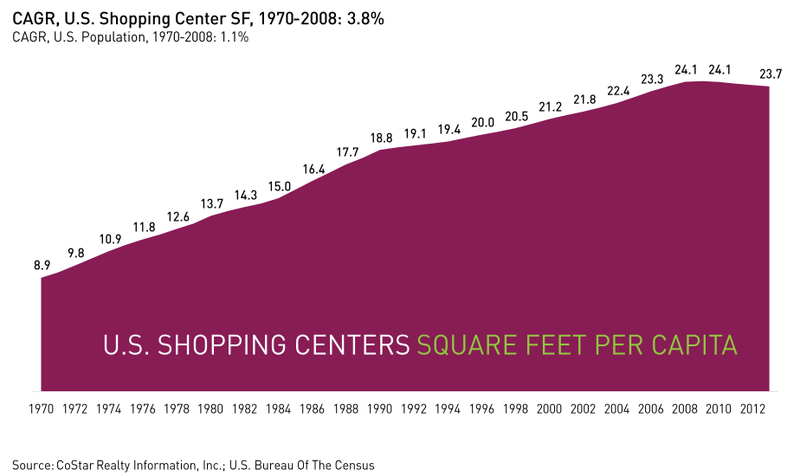 There have been discussions about how new generations will shop and where retailers will locate. In this day and age, where e-commerce has grown in importance and shopping malls have shown signs of growing weaker, retailers have successfully set up street locations to make their businesses more visible. Management sees a compromise between the two conflicting channels of e-commerce and retail. Consumers can still make online purchases of merchandise that they pick up at the local store. Acadia’s balance sheet has perhaps been one of the most conservative among retail REITs. Debt-to-capitalization has been at 22%, and fixed-charge coverage ratio in Q1 2015 was 3.9×, up from 3.5× the same period previous year. Management sees a disconnect between private and public markets. The recent “taper tatrums” create disruptions that provide capital-recycling opportunities. In terms of valuation, even after the overall decrease in REIT stocks, Acadia remains one of the most overvalued members of its subsector, with price-to-FFO at 22x, the median being 16. Likewise, dividend yield is 3.1 percent while the sector median is 4.0 percent. For those reasons, entry has not been favorable. Previous Article US REITs: Is It Too Early Of A Call?